Exciting things are happening around Preston Circus and London Road, and gracefully riding the ‘up and coming’ curve is Japonica, a hair salon with a difference. The salon is offering 25% off all services this month to We Love Brighton readers on their first visit to the salon! See below for details. Stepping through the threshold from noisy New England Road you discover a serene interior, painted in soothing dark greens and greys, surrounded by orchids, cascading green plants and dark woods. Through the rear window of the salon I glimpsed a cute garden – a sunny sanctuary complete with leafy ferns, palms, and rattan seating. Handed an iced smoothie, I was treated to a fantastic neck, head and shoulder massage from senior stylist Armadine Gaulin. 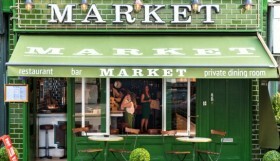 Locals will appreciate the eco-friendly, organic touches here. Jack and his senior stylist and head of colour Anne Lazarus use the Davines range from Italy. These shampoos, conditioners and colour treatments are extremely kind to your hair, skin and the environment, being ammonia and PPD free. 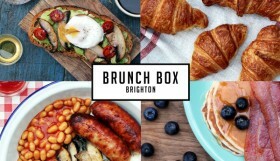 Genuine efforts are being made to connect with the local Brighton community, says Jack, who is enthusiastic about the creative quarter springing up around Preston Circus, with Bird Studios, lively new bars and pop-up restaurants bringing the area to life. Accessible prices range from £54 for a cut and blowdry from the man himself, to £49 for senior stylist, and £44 for a stylist. A full head tint is £58, and half head highlights between £64 and £80. 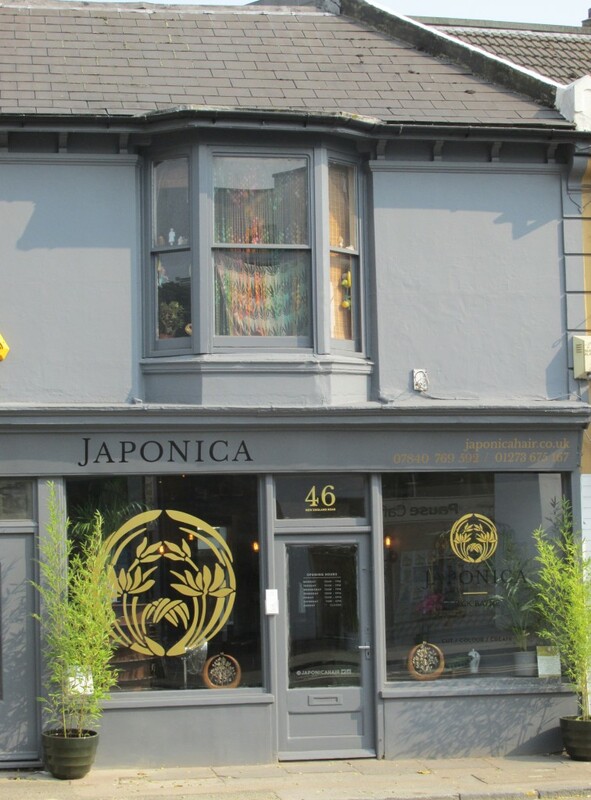 Japonica offers discounts to NHS staff, artists, students and musicians as well as staff at local businesses, and there is also a generous ‘recommend us to a friend’ discount scheme. Jack Bayne himself is softly spoken yet reassuringly confident, and his 20 plus years’ experience of cutting shines through the minute he starts speaking about hair. Using a large hand mirror he talked me through the shape and length options, making thoughtful suggestions but not rushing into anything. Once decided, it was on with the cutting. For me this was an excellent haircut and blowdry (and I would say I’ve got ‘challenging’ hair), which didn’t take too long, and left me with a perfectly cut contemporary style. 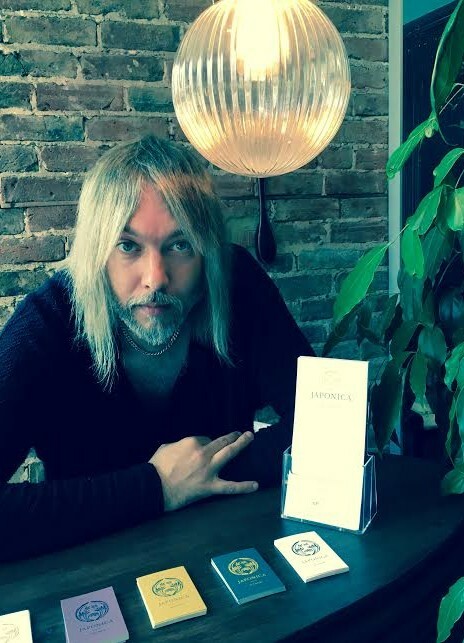 “My feeling, and our ethos here at Japonica, is that it’s worth spending more time on the client consultation, listening carefully and helping them with the decision making process.” Jack stuck to exactly the style and length we’d discussed – no weird and wonderful surprises! Having enjoyed a jet set career demonstrating at hair shows around the world, as well as working in top salons in London and Brighton, Jack says he’s now ready to settle down – albeit with the odd international trip still scheduled in. With partner Charlotte, Jack has recently started a family, and so putting down roots on the south coast will suit all three very well, giving new arrival Betty a settled start in life. There are plans in the pipeline for another salon along the coast in Hastings. So what can you expect from Japonica? 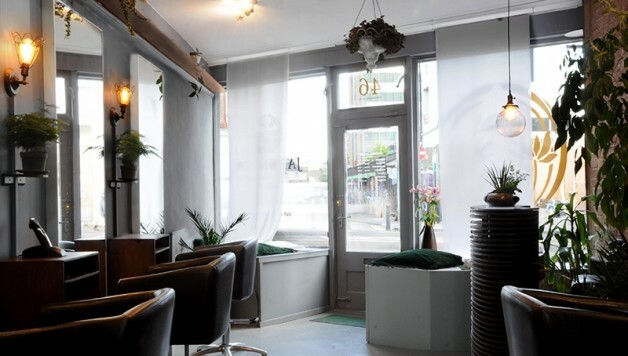 Aside from the wonderful ambience of the place, the secluded garden (an ideal spot when you’re waiting for tints or highlights to develop), and the lovely additions of massage and natural products, this salon is fast-becoming a haven for talent. With his pedigree in cutting, passion for training and plans to nurture a team of highly talented stylists, Japonica Hair Salon is a very welcome and much-needed addition to the Preston Circus area, offering London quality at Brighton prices. And he makes a mean smoothie too! 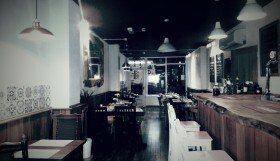 A 25% first time visit discount is up for grabs on all services for the month of September for We Love Brighton readers. Simply mention the We Love Brighton promotion when you ring to book an appointment. Easy! Alison Clements Alison Clements is a Brighton mum on a budget who loves to shop and never misses a bargain. With a background in business journalism she is fascinated by consumer psychology and social history and would dearly love to time travel to the Brighton Lanes circa 1850, to stock up on hankies and ribbons (if there’s a sale on). 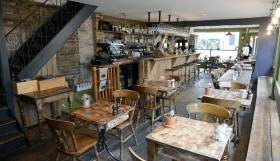 Grow 40 Review: "Superb wine, fine cheese, homegrown produce and great people-watching"